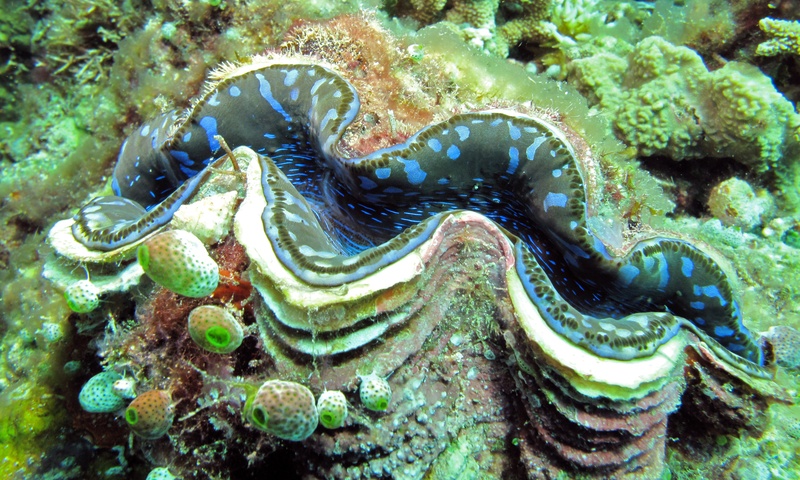 Not just a thing of awe and beauty, giant clams also hold the key to information about environmental conditions in the past. The shell of the giant clam holds information about weather patterns in the vicinity. By analysing the shells of giant clams, we can learn more about the environmental changes that occurred in the past. Researchers from Hokkaido University, led by Tsuyoshi Watanabe, discovered that by analysing the microstructure and chemical composition of the shell of giant clams, information about short-term environmental changes can be obtained. In the study, live specimens of the giant clam (Tridacna maxima) were taken from the waters surrounding Okinotori Island, which is situated in the path taken by typhoons before they make landfall in Japan and other parts of Asia. The researchers then analysed the shell growth increment of each year, measuring its thickness, stable isotope ratio and the barium/calcium ratio. They subsequently compared this data with the past environmental records like typhoons and water temperatures. What they discovered was that the "the growth pattern and chemical compositions in the shells were altered by short-term environmental changes in the area. Cooler ocean temperatures and other environmental stresses brought on by typhoons disrupted shell growth and increased the barium/calcium ratio as well as the stable isotope ratio." According to Tsuyoshi Watanabe, "Since microstructural and geochemical features are well preserved in giant clam fossils, it may now be possible to reconstruct the timing and occurrence of past typhoons to a level of accuracy that was previously impossible." It is hoped that such information can help scientists understand weather patterns in the past, so as to better predict the occurrence of major tropical cyclones like typhoons and hurricanes. The results of the study was published on 19 April 2018 in the Journal of Geophysical Research: Biogeosciences.